Mr. Williams has achieved Martindale-Hubbell’s highest rating for legal ability and professional ethics, AV Preeminent®, as reflected by the opinions of his peers and members of the judiciary. 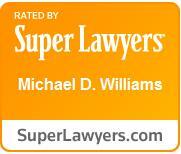 He has also been named to Texas Super Lawyers®, Texas’ Top Rated Lawyers®, and Houston’s Top Lawyers®. Mr. Williams has successfully defended clients in high-stakes maritime, international, commercial and civil litigation matters for over 25 years. 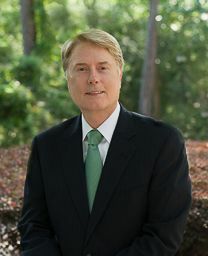 He has also represented companies and insurers in commercial disputes, achieving multi-million dollar recoveries in cases involving maritime liens, insurance coverage and wrongful death. 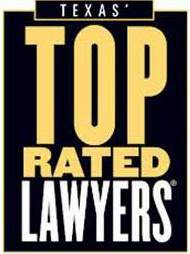 He has obtained dismissal, verdicts or favorable settlements for clients in multi-million dollar claims arising from: product liability for multiple deaths; energy/oilfield property damage and revenue loss; wrongful death from pipeline explosions; and offshore and onshore personal injuries. He obtained dismissal of a drilling company’s $45 million property damage and lost profits claim against a shipyard client on the first day of trial and recovered almost $1 million in defense costs from the Plaintiff. He developed the legal argument for an international air carrier, affirmed by the U.S. Fifth Circuit Court of Appeals in a case of first impression, precluding claims against the carrier asserted under Texas state law. After receiving his Bachelor of Business Administration degree from Abilene Christian University 1981, Mr. Williams earned his Juris Doctor from Pepperdine University and attended the Maritime Law Institute at the University of Southampton in England as a scholarship student. He later earned an L.L.M. from Tulane University. He is licensed to practice in all courts in Texas and admitted to the United States District Courts for the Southern, Eastern, Northern and Western Districts of Texas, the United States Court of Appeals for the Fifth Circuit, Court of International Trade, and the United States Supreme Court. Mr. Williams is a member of the Defense Research Institute, the Texas Association of Defense Counsel, the Maritime Law Association of the United States, The Propeller Club of the United States and is an arbitrator with the Houston Maritime Arbitrators Association. He is a frequent speaker at seminars presented by continuing legal education providers, corporations and insurance companies. Speaker at public and private seminars presented by client and professional groups on various issues related to products liability, toxic torts, general civil litigation, maritime law, personal injury and death claims, claims under federal workers’ compensation laws, personal injury and property damage arising from onshore and offshore oil and gas operations, and maritime liens. Jurisdictional Lines: State, Federal and Compensation Remedies Available to US Workers presented at Council on Litigation Management Annual Meeting, San Diego, California, 2012. Jones Act and Maintenance and Cure Claims Presented at Annual Maritime Personal Injury in Texas Seminar, sponsored by Lorman Education Services, Houston, Texas, 2011. Federal Benefits Available to Texas Workers, sponsored by Sterling Education, Houston, Texas, 2009. Third Party Claims for Injury or Death, sponsored by Sterling Education,Houston,Texas, 2009. Maritime Personal Injury Seminar, sponsored by Lorman Education Services,Houston,Texas, January 2009. Remedies for Longshore/OCSLA Workers, presented at Annual Maritime Personal Injury in Texas Seminar, sponsored by Lorman Education Services, Houston, Texas, 2005-2009, 2011. Third-Party Maritime Claims (LHWCA, OCSLA, DBA, Maritime) Presented at Annual Maritime Personal Injury in Texas Seminar, sponsored by Lorman Education Services, Houston, Texas, 2005-2009, 2011. Remedies Available to Texas Employees Arising Out of the Employment Relationship (W/C, LHWCA/OCSLA, DBA), sponsored by National Business Institute,Houston,Texas, 2006. Critical Steps you must take After an Accident, sponsored by National Business Institute,Houston,Texas, 2006. Coverage Disputes and Reservation of Rights, presented at Trucking Liability Seminar, sponsored by Lorman Education Services,Houston,Texas, September 2005. HB4: Texas Tort Reform, presented at Trucking Liability Seminar, sponsored by Lorman Education Services, Houston, Texas, September 2005. Wrongful Death Claims, sponsored by Lorman Education Services, Houston, Texas, 2005. Overview of Remedies Available to Texas Employees (LHWCA OCSLA, DBA, Maritime), sponsored by Lorman Education Services,Houston,Texas, April 2005. Navigating the Bermuda Triangle: Staying in Compliance with the Overlapping Provisions of FMLA, ADA, and Texas Workers’ Compensation Laws, sponsored by Council on Education in Management,Dallas,Texas, 2005. Trying the Wrongful Death Case in Texas: Strategies in Preparation and Valuation, Texas Trial Preparation Seminar, July 2004, sponsored by National Business Institute,Houston,Texas. Wrongful Death Claims, sponsored by National Business Institute,Houston,Texas, 2003.